I recently became a thirty one consultant and tonight a friend of mine hosted a party for me. After the party we all played bunko. 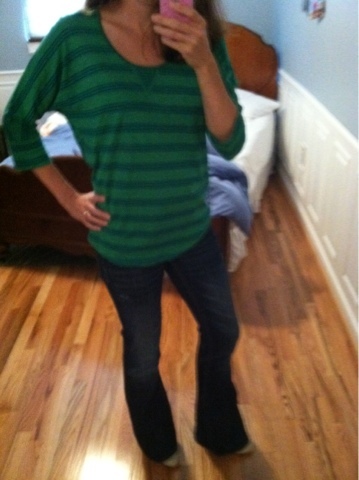 I kept my outfit casual with a green and navy blue shirt and some flare jeans. I broke out some heels for the occasion. I always feel dressed up when I wear heels and since I rarely get to wear them I love it.